The New York Arbitration Convention of 1958 is the cornerstone of international commercial arbitration. 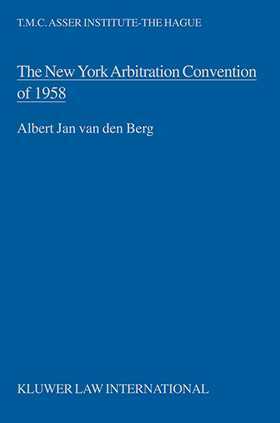 Although judicial interpretation of the Convention has proceeded since the publication of Albert Jan van den Berg’s classic commentary, his extraordinarily thorough analysis remains the preeminent work on the application and enforcement aspects of the Convention. Setting out to repair what van den Berg calls “an undesirable degree of uncertainty” in judicial interpretation of the Convention, his analysis takes a comparative approach to relevant court decisions in the contracting states. For each of three main subject areas – the field of application, enforcement of the agreement, and enforcement of the award – he examines the various issues, explaining the relevant Convention provisions and analyzing and comparing the relevant court decisions. For issues on which a consensus is lacking, he offers an analysis leading to a single valid interpretation. Many of these interpretations have become virtually settled in current practice. In addition to case law, the author takes into account the legislative history of the 1958 Conference and the provisions of earlier arbitration conventions. This is a true classic in the sense that its immediate usefulness has never flagged over the nearly three decades of its availability. Arbitrators and judges everywhere have leaned on it, and continue to lean on it, for the depth and clarity of its understanding of the law of international commercial arbitration. While it is a standard academic work in the field, its proven great practical value to jurists and practitioners persists. I. Field of Application. 1. Foreign Arbitral Award. 2. Arbitration Agreement Falling under the Convention. 3. Retroactivity. 4. Domestic Law on Enforcement and Other Treaties in the Field of Arbitration. II. Enforcement of the Arbitration Agreement. 1. Referral by Court to Arbitration. 2. Written Form of the Arbitration Agreement. III. 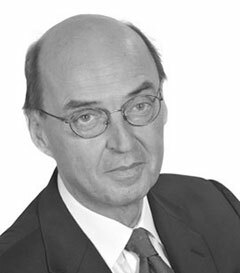 Enforcement of the Arbitral Award. 1. Procedure for Enforcement. 2. Conditions to Be Fulfilled by the Claimant. 3. Grounds for Refusal of Enforcement in General. 4. Grounds for Refusal of Enforcement to Be Proven by the Respondent. 5. Public Policy as Ground for Refusal of Enforcement Ex Officio. Summary and Conclusion. Annexes: A. Text of the Convention (English, French, Spanish). B. List of Contracting States (including Declarations and Reservations). C. List of Implementing Acts. D. Table of Court Decisions on the Convention. Bibliography. Index.